We all know the importance of having functional and stylish homes – however, we also know how important it is to do what we can to protect ourselves and our belongings. And even though barbed wire does put a pause on people breaking and entering, it’s not really the look most of us desire for our homes’ façades, is it? 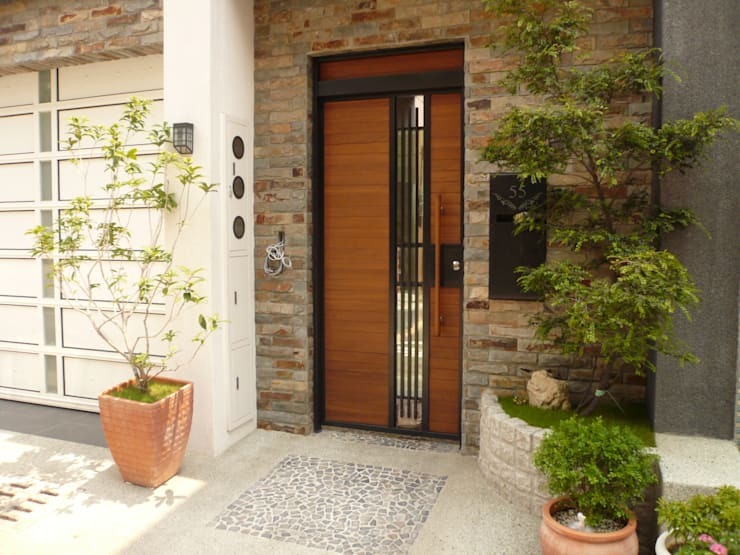 Which brings us to today’s main topic: beautiful ways to keep your home safe (yet stylish) via security doors and gates. Here in South Africa, the security gate or –door (or wall) is nothing new, so this should be right up your alley! You hear “steel gate”, you think “strong, protective, harsh, ugly”. 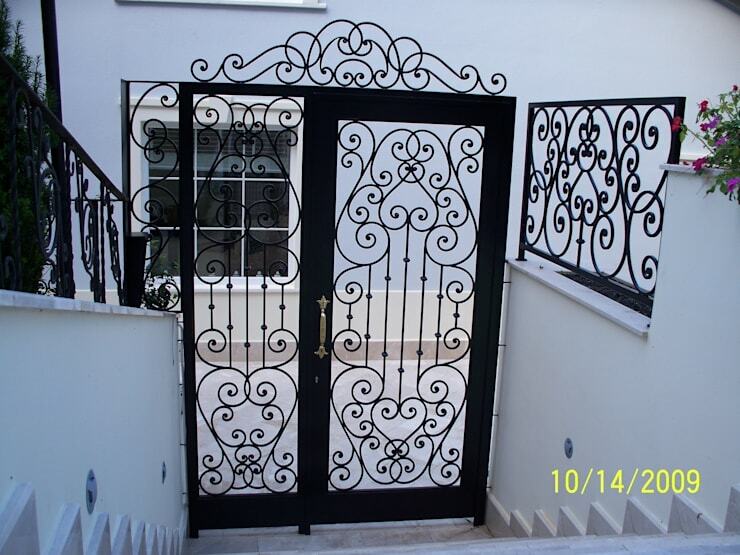 But add some swirly designs to that surface, and your initial thoughts about a security gate might just change. Even though this gate is oh-so pretty, we are willing to bet that it still gets the job done in terms of security. 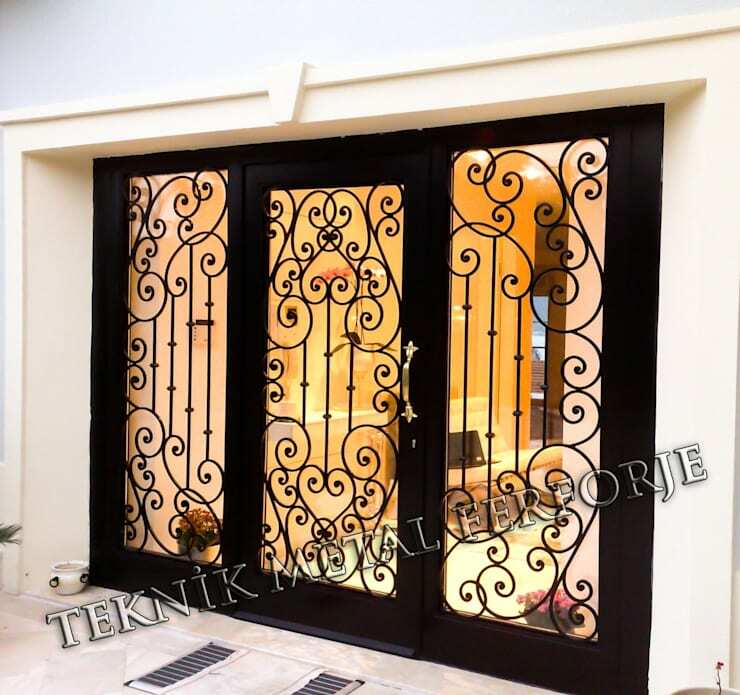 Like all things in life, security gates and –doors also treat us to options. And when it comes to materials, we have a bunch to pick from: steel, iron, wood, you name it. And thanks to creative designers out there, we have a vast range of options that include a mixing and matching of different materials, like this sturdy looking model which is made from metal, wood and touches of glass. 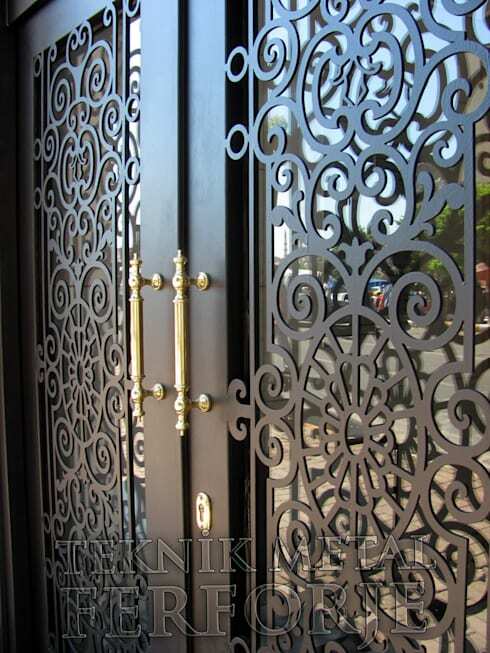 They’re not just meant for staircase railings and headboards – wrought-iron designs can look quite exquisite on doors and gates as well. And don’t let those swirly twirly designs fool you: they pack quite the punch in terms of strength and security. If a swirly design isn’t your thing, then we recommend a more modern style, like these doors made up of wood, glass and sleek metal that flaunt a very geometric look. And those sober hues and touches of shiny steel show that, security-wise, you do mean business, you just choose to do it in a sleek and stylish manner. 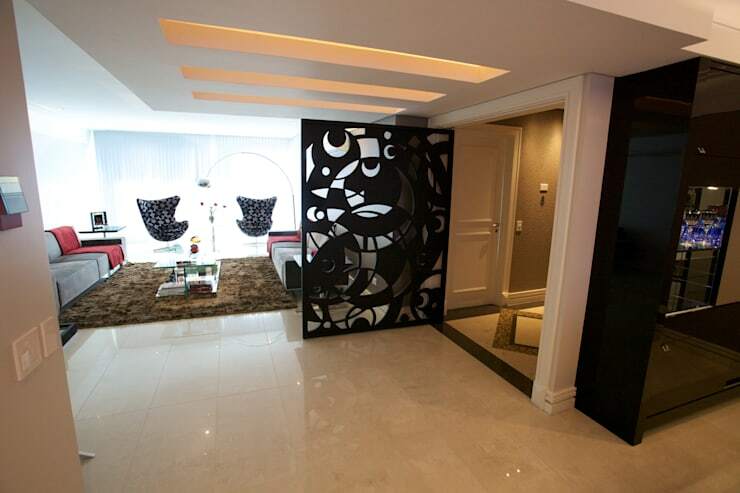 Want your home to flaunt a super lavish look, yet still remain safe? 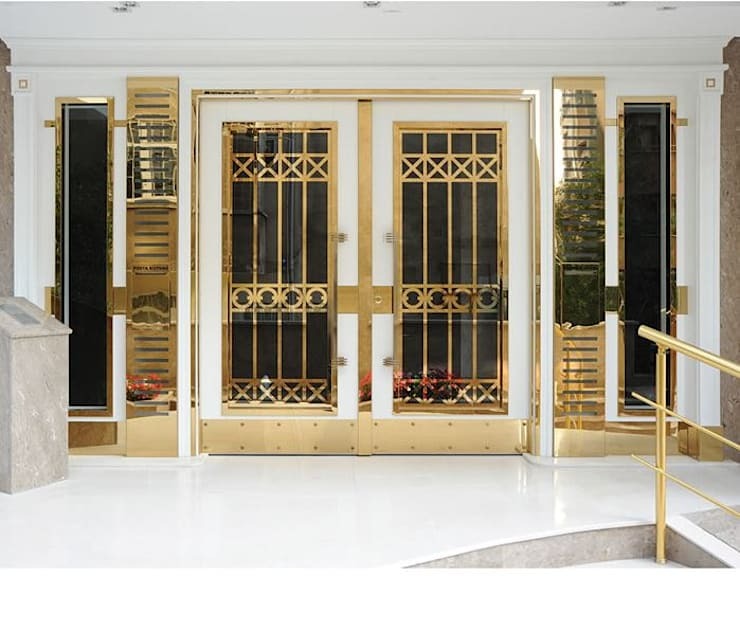 Take the geometric-styled doors we mentioned in number 4, add a splash of gold to those steel surfaces, and voila! For those who prefer the more curvaceous-styled options, we have this sleek and elegant option which comes complete with gold-sprayed handles to beautifully offset with the bold dark metal. Notice the glass pane at the back, which still allows you a crystal-clear view of the exteriors. We just love this one: a security door with matching windows on both sides, ensuring a very wide look for this property’s front entrance. And the fact that all three surfaces match each other in terms of style and look just adds to the consistency of the elegance factor. Speaking of safety, have a look at A Johannesburg house that this family built with security in mind. 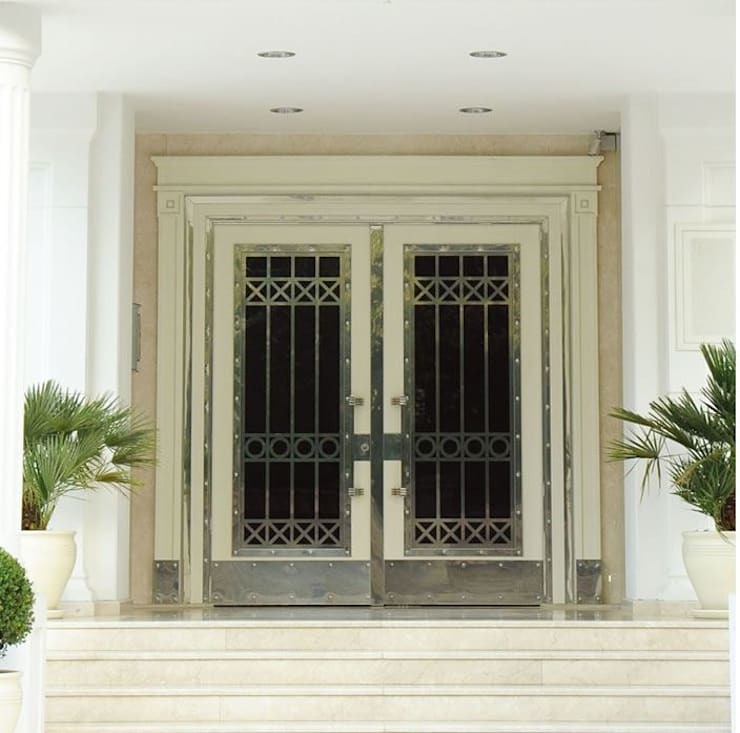 Which of these security doors/gates would be perfect for your home?